One kingdom to rule them all? Super Mario Odyssey arrives in just a couple of weeks and it's safe to say people are excited. Making his platforming debut on the Nintendo Switch in splendid style, the mustachioed plumber is returning to the sandbox type worlds that were found in Super Mario 64 and Super Mario Sunshine (and to a lesser extent Super Mario Galaxy 1 and 2). This means sprawling, colourful game worlds with a ton of variety and collectibles littered all over the place. Super Mario Odyssey was only officially revealed in January this year, but that doesn't mean Nintendo haven't been able to show off a decent chunk of the game. 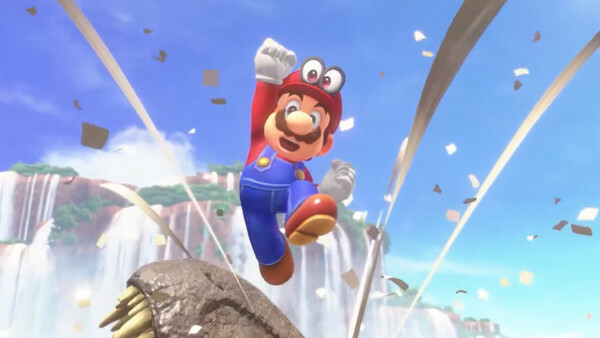 Throughout the numerous shows the game has been to and the trailers that have been released, gamers have been able to get a glimpse of the interesting new worlds they'll soon be able to explore. A small side note before this list begins - a couple of additional kingdoms have been seen exceptionally briefly. These kingdoms include the Lake Kingdom, among others that might be a little more spoilerific. As such, they will not appear in this list. Only the kingdoms that have been officially named by Nintendo in released trailers will. With that out of the way, it's time to take a trip around the world and decide which of the kingdoms looks the best!